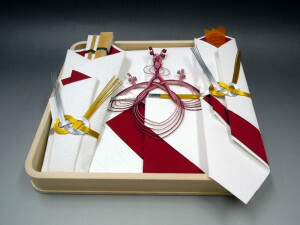 Mizuhiki is a type of decorative cord that is attached to cards and envelopes on formal occasions. Originally it was used when exchanging gifts on occasions such as births, weddings and funerals. 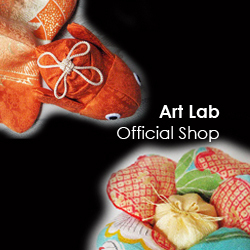 At the same time it came to be used as a means to tie together gifts that had been wrapped in washi, or traditional Japanese rice paper. It is made by twisting washi until it forms a cord, and then, so that it doesn’t unravel, applying a type of paste, called mizunori. It is then dried so that it becomes hard. In Japanese, the verb for applying this mizunori paste is hiku, hence the name mizuhiki (hiki being the nominalized form of hiku). Both the color, number of cords, and the way they are tied have a special meaning, which determines when they are used. I looked up the basics for tying mizuhiki and mizuhiki knots. With the exception of weddings, this type of knot it used on auspicious occasions, such as anniversaries, or just for sending greetings or messages and gifts of thanks. It is easy to untie, and can be retied over and over again, which symbolizes the desire to have the good fortune return, or repeat in the future. Musubikiri is a tight knot that is hard to untie. 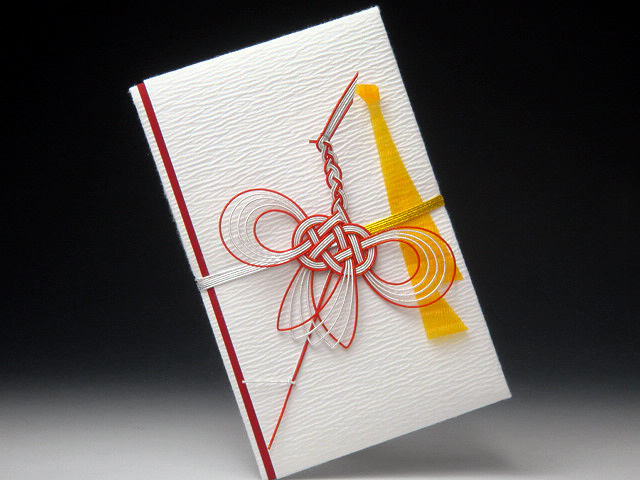 It is used for weddings and symbolizes the giver’s desire for the couple to not separate. It is also used for occasions of mourning, or for when someone is sick or has recovered from sickness, or for other unfortunate occasions, and symbolizes the desire to not have the misfortune reoccur. Awabimusubi is a complicated knot that, with some effort, can be untied, but not easily. It symbolizes the desire for the two parties to maintain ties and live long. It is also said to look like an abalone shell (awabi) which, since days of old, has been considered a useful item. For that reason it is used on both auspicious occasions and times of mourning, and expresses a desire for a good and long-lasting relationship.